How can I make the pages turn automatically? I have used A-PDF FlipBOOK Maker for a long time, and it is quite good. I am really interested in using it. But I want to play flipbook automatically, how can I do that? FlipBook Creator is so popular since it was released. It is a powerful flipbook software for users to create a vivid digital catalog from PDF files. With this powerful flipbook software, flipbook designers can catch people’s eyes in an effective way. People would like to read flipbook online which makes it easier to access. FlipBook Creator also provides users more professional desgin settings which enable users to custom a special online digital magazine. Users can share flipbooks online so that most of users can view it online. It enables users to change templates, insert book logo, share flipbook online etc. 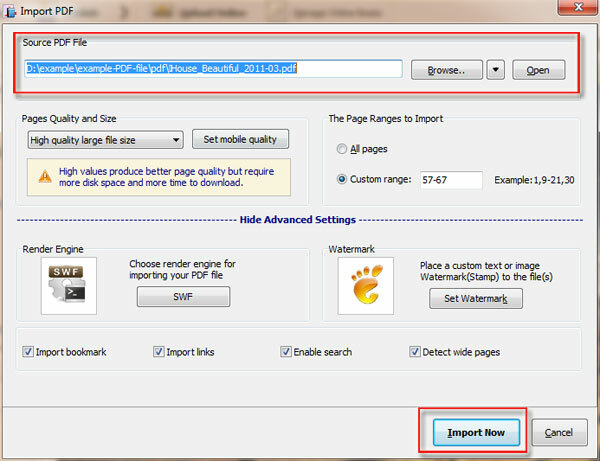 Start FlipBook Creator and click the button of “Create New”, browser to import PDF document. There are so many flipbook templates and themes in FlipBook Creator. Users need to choose the templates and themes they like. Step 3: Autoflip online digital magazine. Search “Auto Flip” in the search bar in the Design Setting. 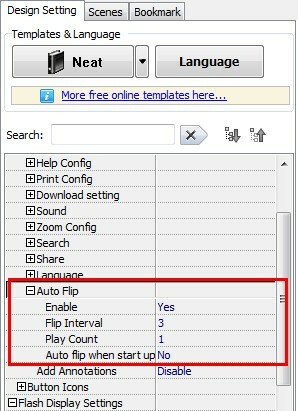 User will see an option of “Flip Interval”, you can set the interval time of flipbook. 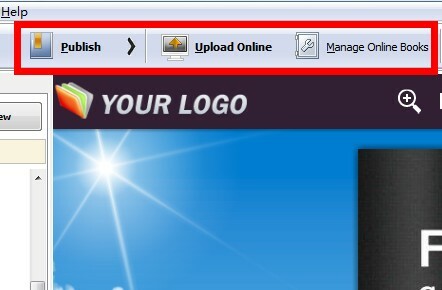 Click the button of “Publish” to publish flipbook to different formats or upload it online directly.